Incompatible Species - Voiced Visual Novel Demo! 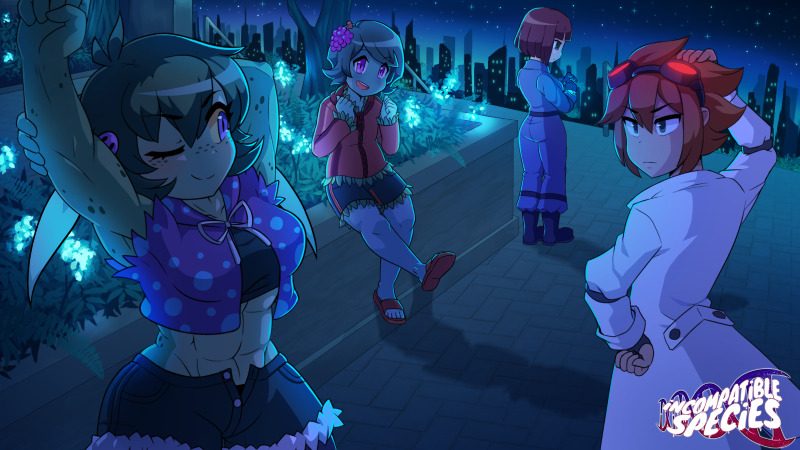 Incompatible Species is a kinetic novel undergoing development in Ren'Py, slated to have full and expressive character sprites, background art from lush bio-technological cityscapes to dingy offices, voice acting, and some fun short episodes on the side. Incompatible Species is an episodically-split story detailing the exploits of a specialized (read: self-glorifying) pest control unit. Despite the mismatched nature of each member and the world around them, what keeps them all together runs deeper than the surface.